Click the names below to learn more about our guest artists. William has been sought after as an All-County conductor and has lead groups in Tioga, Montgomery, Putnam, Orange, and Sullivan counties. He is currently the principal clarinetist for the Northern Dutchess Symphony Orchestra and the Greater Newburgh Symphony, and has performed in Europe and at Carnegie Hall with the New York Wind Symphony. William received his Bachelor of Music Education and Performance degree from SUNY Fredonia, and his Masters degree in Clarinet Performance from Ithaca college. 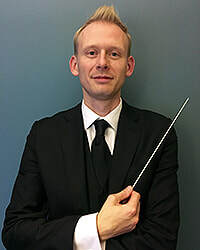 He has studied conducting with Dr. Russel C. Mikkelson (former Director of Bands, SUNY Fredonia), Dr. Paula Holcomb (Director of Bands, SUNY Fredonia), Dr. David Rudge (Director of Orchestras, SUNY Fredonia), and Dr. Steve Petersen (former Director of Bands, Ithaca College). William lives in Poughkeepsie, NY with his supportive husband Chris and their adorable pug Jake. Under the baton of William Stevens, they performed their 4th annual Christmas concert at the Cunneen-Hackett in Poughkeepsie, New York of music first done by David Bilger’s Saxophone Sinfonia as well as new arrangements commissioned from area composers. Proceeds from these concerts have been donated to help fund local music scholarships including the Dutchess Community College Hudson Valley Saxophone Orchestra Music Scholarship and the Chamber Foundation’s Charles S. North Music Scholarship. After a successful Kickstarter campaign their studio recording “It’s That Time Again” (2014) features this holiday music and is available on iTunes and CDBaby. The HVSO, with guest conductor Dr. Paul Cohen, was invited to perform a program entitled A Tribute to the Raschèr Saxophone Ensemble, and Beyondat Shenandoah Conservatory in Winchester, Virgina for the U.S. Navy Band’s International Saxophone Symposium in 2016. ​The ensemble receives the support of the Dutchess County Regional Chamber of Commerce and Paul Effman Music. 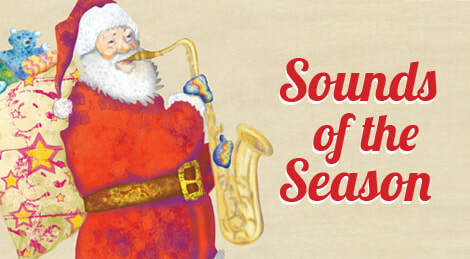 Learn more at their website, www.hudsonvalleysaxophoneorchestra.com. For the December concert only, the Culinary Institute of America's Ristorante Caterina de’ Medici will be accepting reservations for both lunch and dinner. When you purchase our reserved seating package, you choose the performance seating of your choice and receive a guaranteed reservation for lunch OR dinner seating. Reserved seating is limited, and will sell out quickly. 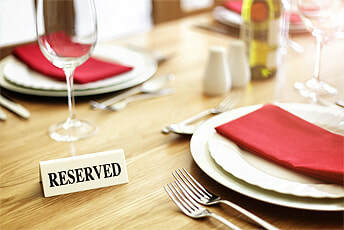 This special package is limited and does not include the dining experience fee. It is guaranteed reserved seating only.